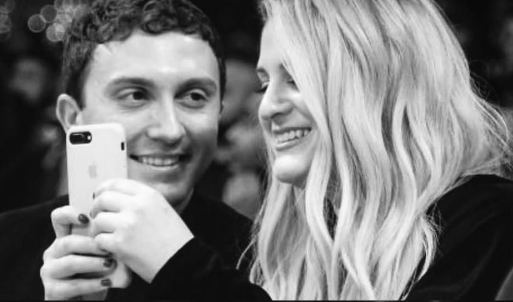 Pop singer Meghan Trainor celebrated her first anniversary with boyfriend Daryl Sabara on July 2nd. She uploaded a video on Instagram in tribute to their special day. According to Cosmopolitan.com, Trainor shared that her first kiss with the Spy Kids actor was in a bowling alley and that he inspires her songwriting. Her new album is said to have a song called “Marry Me.” Maybe we can expect to hear celebrity wedding bells soon? This celebrity couple is super cute! What are some special ways to celebrate your first anniversary? 1. Visit a botanical garden: Surround yourself in a beautiful landscape to commemorate the special occasion. Bring a camera and document the many flowers you’ll see! You may get inspired to create your own green oasis as a couple! 2. Go on a dinner boat cruise: Relax and enjoy each other’s company with stunning ocean views. You can share a meal together and reminisce on all the moments you’ve share. A dinner boat cruise is a lovely getaway that both of you will remember for anniversaries to come. 3. Go berry picking: Find your nearest strawberry or blueberry field and go berry picking for the day! Get competitive and see who can pick the most or gather enough berries together for a celebratory desert. No matter what you chose, this anniversary day will be extra sweet! Are you excited to hear Meghan Trainor’s new music? How would you celebrate a first anniversary? Let us know in the comments!